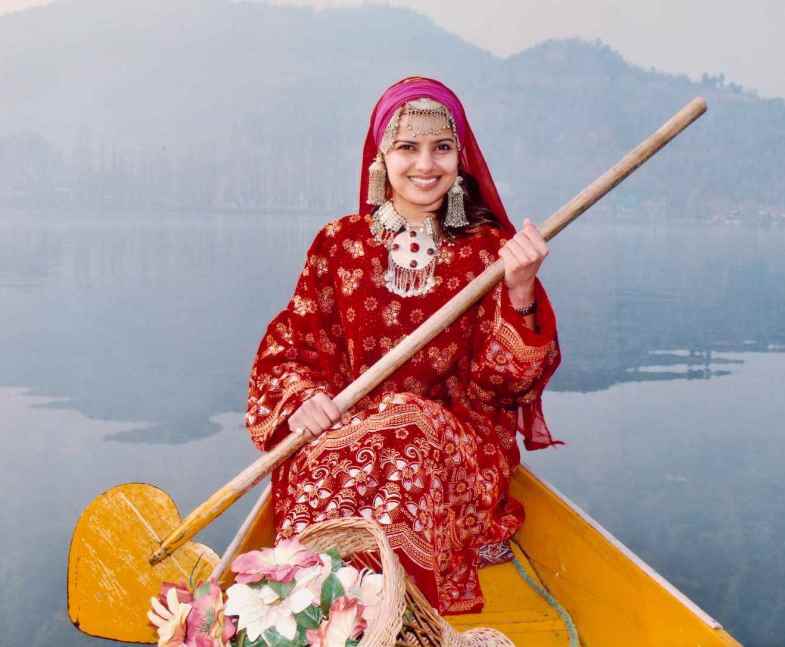 The traditional outfit for both males and females in Kashmir is the Phiran and poots. The phiran and poots consist of two gowns, one over the other. The traditional phiran and poots extends to the feet, which was popular up to the late 19th century C.E. However, a relatively modern variation of the phiran and poots extends to below the knees, which is worn with a suthan (loose form of shalwar) similar to the styles worn in Afghanistan. It is optional to wear the suthan with a long phiran as traditionally lower garments are not worn with phirans. The traditional phiran and poots do not have side slits. In summer, the phiran and poots are made of cotton, but in winter, the poots are made out of cotton and the phiran of wool, covering and protecting the body from the cold. These dresses are used by the residents of the Kashmir valley. The phiran is a loose upper garment loosely gathered at the sleeves which tend to be wide, made of either wool or jamewar which is a mixture of wool and cotton, with no side slits. 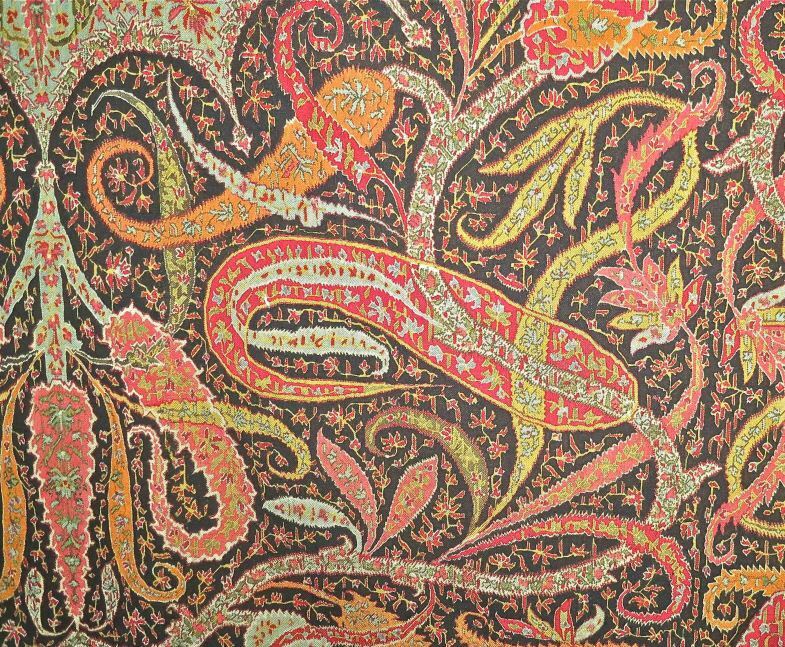 A phiran made of wool is called a 'loch'. Female phiran dresses are designed with colorful flower elements and styles. Male phiran dresses are quite simple without any colourful designs. The traditional phiran falls to the feet like a gown which was universally worn by the Hindu and Muslim communities into the later 19th century C.E. However, a modern version is knee-length and is worn by Muslim people which is loose and stitched at the front side and on the finishes while Hindu people wear their phirans long, extending down their legs. Ankle length Phirans are tied at the waist. 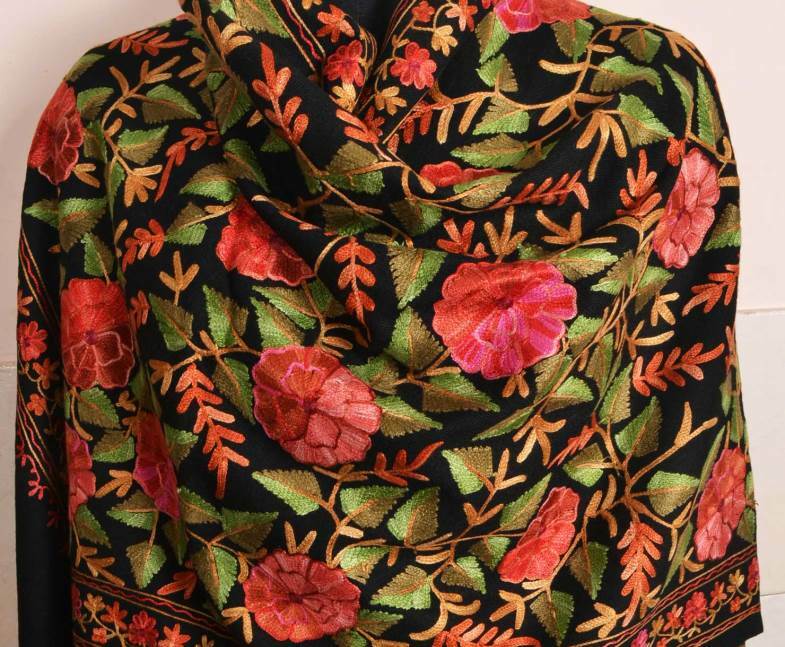 Intricate embroideries or flower styles are a popular function of a Kashmiri ladies phiran. The poots is the same as the phiran but made of lighter material and is worn beneath the phiran. Modern trends saw a decline in the use of phirans in favour of the shalwar kameez. However, there has been a revival in recent years as phirans have become part of modern fashion, and are worn by females of other areas of India as well. Kashmiri men are also wearing the phiran as a fashionable outfit. Combined with jeans, the phiran has made its way into the office world. The modern phiran is not as wide and long as the traditional ankle or knee length versions and sometimes have side slits. Less men are wearing the phiran with a shalwar.